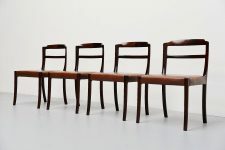 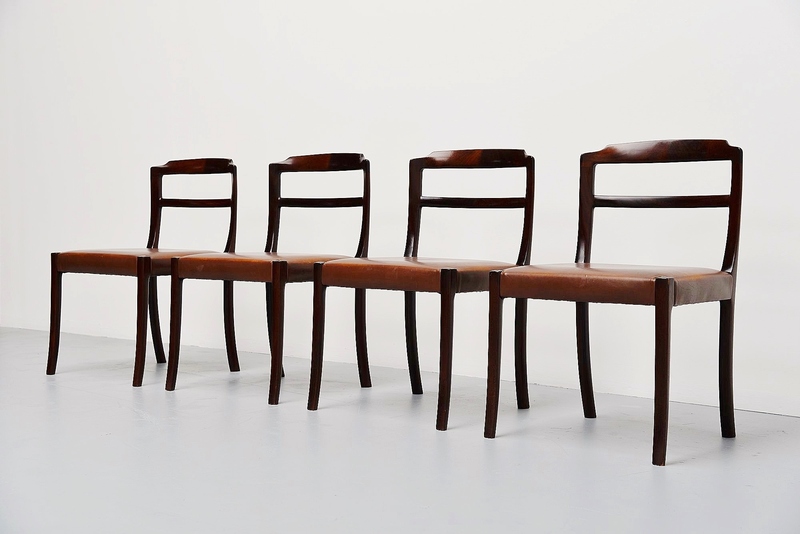 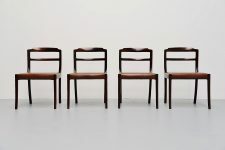 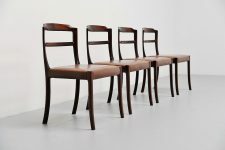 Nice set of 4 dining chairs designed by Ole Wanscher, manufactured by A.J. 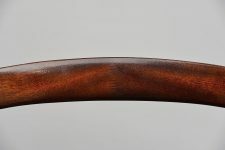 Iversen, Denmark 1965. 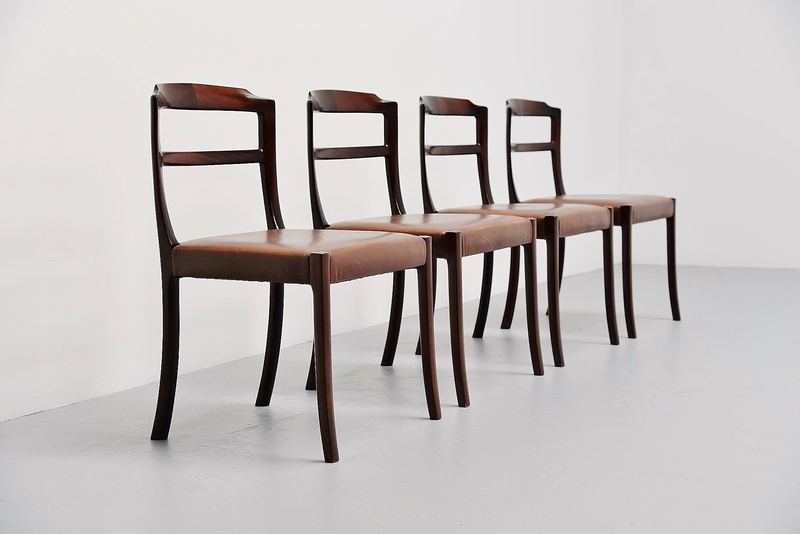 These chairs have mahogany frames and brown quality leather seats. 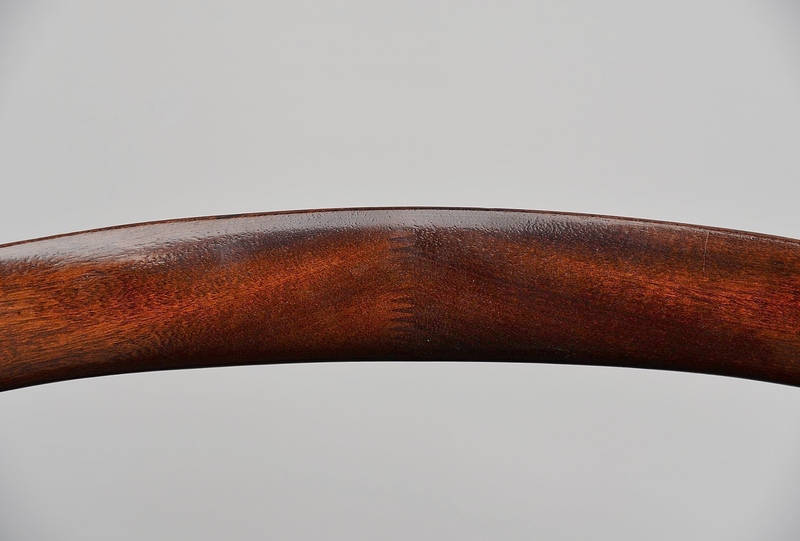 The backs have very nice dovetail connections. 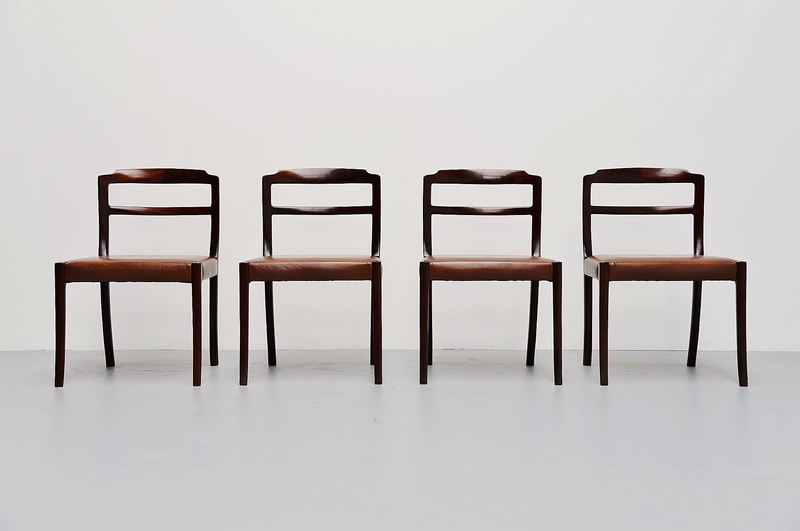 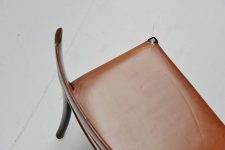 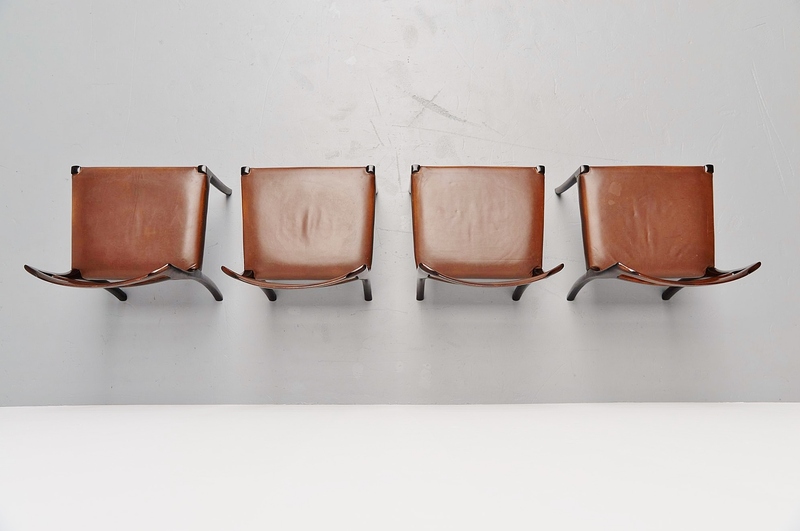 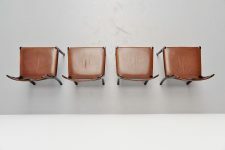 Very nice set of 4 quality chairs by Ole Wanscher. Ole Wanscher was for sure one of the better Danish designers of his era.